A trauma expert is helping Saskatoon teachers learn how to recognize the signs of extreme stress in students, as a first step in preventing violence or suicide. Kevin Cameron has another message as well: It's not only up to teachers to spot the signs, but also parents and other adults involved in the lives of children and teens. "Many parents while with their children aren't really as connected as what I would like them to be, to be talking to their kids and knowing what's really going on for them," said Cameron, executive director of the Canadian Centre of Threat Assessment and Trauma Response. He said if that element is missing, interaction with peers becomes the most important element in their lives. 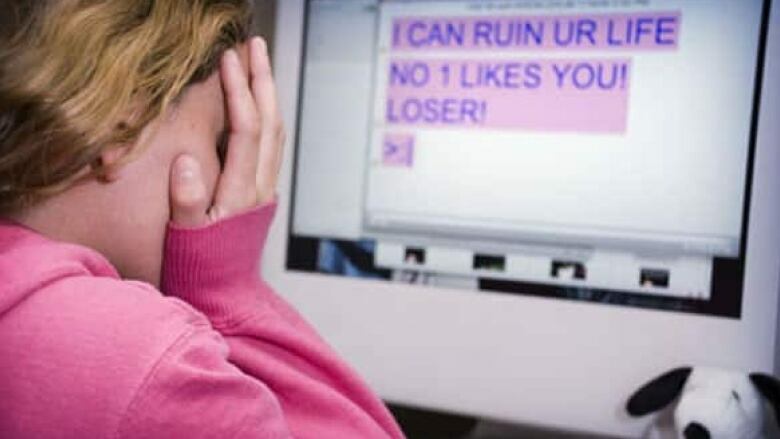 "And for a lot of kids, that becomes the greatest weight they have to bear if it's not positive,"
Cameron also said while past generations got a break from school-yard bullying when they went home, there is no escape today with cyberbullying. "Nobody can continue being continually beaten down emotionally or physically," Cameron said, adding that kids usually wait until they are at the breaking point before they start to tell. Signs to watch for include behaviour that is out of the ordinary for that person. It could be withdrawal from school, falling marks, changes in how they present themselves or who they hang out with, or even in what they write for assignments. He is teaching educators to be more open about asking a student if he or she is doing okay. "With good training, we have already had great success in being able to identify a kid on the pathway to serious violence, kids struggling with suicidality, more so than in the past."